"Well, we theists can explain why the universe exists - so what's your explanation, then?" The atheist must admit they have not got one, which makes their position look weak. At the very least, the theist may think that, by getting the atheist to admit they don't know the answer, the atheist is, in effect, admitting that, for all they know, God might be the answer. Theism and atheism end up on an equal footing, rationally speaking. But of course, the Judeo-Christian explanation is just one among countless answers that might be offered. Why the Judeo-Christian God rather than, say, an evil God or a morally neutral God? Or countless other explanations. Actually, the question: "Why is there something rather than nothing?" may well not make sense. But even if it does, it does not follow that, because the atheist must admit they don't know the answer, then they cannot rule out the Judeo-Christian God as the answer. In the same way, an atheist can admit that there is a mystery about why the universe exists, and that they are utterly baffled by it, while nevertheless insisting that there’s overwhelming evidence that, whoever or whatever created it (if anything) it certainly wasn’t the all-powerful, all-good God of Judeo-Christian theology. Theists shouldn't make the mistake of supposing that, because there’s a deep mystery about why there is anything at all, that puts theism and atheism on an equally rational/irrational footing. It doesn’t. ...even more important than the question of whether God exists is the question of "What questions are legitimate? ", and the standard answer to, I suppose the theistic position in our time, is that the question which the name God appears to be some kind of answer to doesn't make sense as a question - it gets ruled out. So it's the agenda of questions which I would start and why is it that, umm, that a culture limits itself to asking, as it were, a set of routine questions which it has handily the methodologies for answering. It's almost as if the methods we've got for answering questions dictate what questions we allow to be asked. And I just think there's a very troubling question which kind of niggles on the edge of all the other questions." First, why is there a god instead of not a god? Something has to just exist. Second, the mere existence of God is not an explanation per se; an actual explanation logically entails the explanandum. You have to add extra premises to the idea of the existence of God (God wants to create some universe and God wanted to create this particular universe) to make theism an explanation. Once you add the necessary additional premises, you find that you are hypothesizing more than you set out to explain in the first place. Do you not think there is a deeper probem with out inability to explain how on earth (!) the uiverse could have come to be here, in that for answering these big questions? Christians who have faith can be satisfied by their explanation of why things are as they are: it's God, who we can't understand. Under our method of rational thought, it seems we're perpetually left with a question we can't answer. Which system then appears stronger? If logical thinking can't explain why the universe is here- and can't even explain why it MIGHT be here- then doesn't this means that, according to our methods, it SHOULDN'T be here? Are we just missing some vital, rational fact/ concept? But if so, how can we have missed it for so long? Do we only carry on in our search through our own FAITH in logic, science etc? Is strictly rational thought simply the wrong method to use? I can' understand how logic works, and why its implications are so impossible to comprehend for me. Maybe I do simply have faith in logic? I'm not willing to give it up any how- it just seems so OBVIOUSLY right. Maybe theists feel the same way about God? p.s. hey barefoot bum. I think the point is that if we conclude that the reason for the universe/ creator was itself uncaused, then we tend to call this being God. Only something supernatural can be a first mover, and the universe is wholly natural. But I'm interested by your point about time and causality not being logical principles. For me, I can't logically understand how they couldn't exist, but I can't tell if that's simply because all my experiences of the world have only ever suggested these principles- that's integral to my "world model". Without them I guess these questions are easier, but how can they NOT exist? Sorry, theists don't have an explanation there. An explanation for "why there is something rather than nothing" doesn't work if you need something (eg God) to kick it off. Getting from something to something-and-everything-else is the easy bit. Well... easy for science which explains the origins of complexity and life and intelligence, that theism has to assume existed all along too. I noticed that the theolgian guy that Jonothan Miller interviewed was talking about God as a kind of not-a-thing, which looks like an attempted workaround to this point. Surely the simple rejoinder is to ask what was God buggering about with before he decided to make himself useful and create the universe? What is the point of asking "why" about this? The answer is surely obvious: because there is. "Why" has nothing to do with it. Don't worry. Nobody proofreads comments. Do you not think there is a deeper problem? Christians who have faith can be satisfied by their explanation of why things are as they are: it's God, who we can't understand. Note that "explanation" contradicts with "can't understand". That which you don't understand can be many things, but it cannot be an explanation. I suspect you mean scientific thinking; logical thinking is just about connecting statements in a rigorous and well-defined manner. As noted above, theistic thinking can't explain why the universe is here, and it really can't explain why God is here. Should we then conclude that both God and the universe shouldn't be here? And no, scientific thinking does not entail that which has not or cannot be explained shouldn't be there. Explanations are human ideas; scientific thinking recognizes at some level that reality is independent of human thinking. Are we just missing some vital, rational fact/ concept? I suspect you mean that you can't understand why logic works. Your comments seem to reveal a good enough grasp of the how. Maybe I do simply have faith in logic? I'm not willing to give it up any how- it just seems so OBVIOUSLY right. Maybe theists feel the same way about God? You may have faith in logic. I do not, and logic doesn't seem at all obvious at all to me. I've collected ample evidence that it does indeed work in solving practical problems. Thus, I'm not going to lose any sleep if I can't figure out some deeper principle to explain logic itself. But I'm interested by your point about time and causality not being logical principles. I'm not at all saying that time and causality don't exist; they clearly do. I'm saying their justification is scientific, that time and causality is true forms a part of the simplest axiom set from which we can derive the character of our observations; they are not necessary truths or metaphysical axioms. Logic works because it leads to consistency; anything illogical ultimately leads to contradiction and randomness. Is the problem simply that theists ask the question "Why?" when the really mean "Who is responsible?" and are only satisfied when a culprit can be found. Unfortunately as soon as a suspect has been identified they stop looking for other explanations. Worse they try to fit every available bit of evidence to fit. 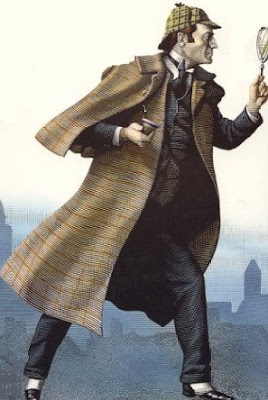 It is as if Holmes blamed Professor Moriarty for every crime and misadventure going. "See Watson - my morning paper has been incorrectly creased! Moriarty is taunting us no doubt. Did he bribe the paper-boy or somehow tamper with the printing press? No means are beyond him, he is a criminal genius and without scruple." A much more relevant question than "why" is "WHAT is there?" Each of us knows - or believes we do - that we exist; and most of us accept there is at least one universe. How it all came about is the so far unanswered, and perhaps in principle unanswerable, question. Theists attempt to answer it with their concept of "God", but most of the time their efforts to explain this entity convincingly are pretty clumsy. Atheists and agnostics who don't believe in, or are uncertain about, the 'supernatural' can logically be quite comfortable with pantheism - the notion that 'God' IS the universe, and vice-versa. I like this idea. How does it strike others? Anticant - Pantheism still suffers from the tendency to ascribe agency. If you get rid of that then you are surely just left with the Universe. Which is quite enough come to think of it. What is wrong with "the Universe is the Universe."? But surely the universe has agency is so far as we do and we are part of that universe? We do. But there is much which does not. I would find it difficult to argue for either grains of sand or the force of gravity being an agent in that sense. In my mind (albeit a 13 year old one) this boils down to an initial question on the existence of God (or at least a creator). Also, in this argument, I am taking it for granted that those here are educated people who believe that if something has no proof it cannot stand as a reasonable argument. On this basis, God cannot exist as there is no concrete and infallible evidence in 'his' favour. However, astrophysicists have observed that the universe is expanding, and from this we can conclude that all the matter within the universe, must have, at one point, been in one very dense, singular mass. Some may be saying "Where did that come from?" but, astrophysicists have reasoned that nothing can have an infinite volume, so in black holes, some of the matter and energy must be, essentially, squished into nothing. And if this is true, then why can the inverse not be? I ask you, do not immediately deny this, because one of the most revered modern scientists (Stephen Hawking's) theory on black holes relies on the fact that small particles appear out of nothing. It is then only a small leap to see that maybe one of these particles happened to be terribly dense, then expanded. I shall end on a note, a dense particle such as this does not have to be impossible, just highly improbable, maybe this was one of billions of billions of individual particles that 'popped up' in the 'time', per se, before the big bang. Doesn't theists have to explain the existence of God? Why isn't there a god (who created the rest) rather than nothing? Seems to me that in discussion with a theist one needs criteria for what would count as a good explanation. Or are we atheists (or agnostics) expected to accept either a) god created herself or b) god existed before time began? Well i am athiest and i don't know, i wish i did, but to the idea of God we can ask, Where did God come from? Why is there a God? How did God start? They do not know either. It is ridiculous to even consider a God as he has had no evidence of exitance as science has progressed, and how can there be a "true" God if there are many different religions who beleive in different Gods. Before we are born there is nothing. Then when we exist we are a part of this nothing to the unborn. Each creature given life becomes a part of this "nothing" and as such becomes aware. Yet to those who are not yet born they and the world we know does not exist. So before matter there is Spirit. Spirit is the realm of God’s thought and is the genesis of matter. Matter is created by thought; thought is not created by matter. God created matter by thought. Matter is transient. What we call "nothing" is Spirit and it is eternal. Spirit exists before matter exists. . God created life by His breath. This life is "aware". There wasn’t a big bang , there was a thought. You'd be interested to know that this page is currently the first listed by Google when searching for the term, "why is there anything?" Thanks for letting me know, David. Modern neuroscience has proved that the Mind/Soul is not a separate physical entity, but rather our brain's manifestation of it's own awareness. The mind is just the actual infrastructure of neurons, much like how the actual infrastructure of connectedness (wires, cables, servers, switches etc...) creates the internet(mind) and the computer(brain) with an appropriate browser(personality) is the gateway. I'm sorry folks, but when you die, nothing happens and I believe that to be the truth. Don't worry though the entire life of a modern human is just a tiny blip in the great clock of space. Now, as for modern astronomy, we now know that space is expanding and accelerating (objects are moving away from each other). For those of you who do not comprehend the scale, perhaps this will give some perspective. The all inhabiting Earth is just one of one-hundred billion objects orbiting our sun. The sun is just one of one-hundred billion stars in our galaxy. And the Milky Way is just one of one-hundred billion galaxies in the Universe. The general structure of the universe is referred to as the 'Soap-Bubble theory' where if you imagine a box full of soap bubbles the lines of intersecting bubbles represent strings of galaxies. What lies, at the center of these galaxies? Super-Massive black holes which help move matter to a more dense point. Objects under intense gravity from black holes also feel the effects of dark matter which amplifies the gravitational pull of objects in a galaxy by up to ten times creating more and more dense points of larger galaxies. Sometimes these galaxies collide. The Milky Way Galaxy will collide with Andromeda(nearest galaxy) one day. It is late and I am tired, the point is that life is a natural phenomenon that occurs when single cell organisms are able to spawn and reproduce, then evolution can take a shot and perhaps create intelligent, oblivious and ignorant life that can also one day ponder it's own origins. In case you haven't noticed I don't like the idea of a God/creator. It feels rather defeatist and awfully hopeful of us to think that someone really cares about humans so much. Hell, humans don't care about humans as much as we hope this benevolent creator does. Religion is wishful thinking, I prefer the scientific method which is based on definitive mathematics. "Why?" is something of a loaded question. It makes sense to ask a person why they did something. But what does it even mean to ask "why" about something that is not a person's choice that could have been made differently? If there were a god, it would make sense to ask the god why there is a universe. If you don't assume the existence of a god, then what does the question even mean? Even as a young child I found myself thinking what if there was nothing? People can use their imagination to place themselves in various scenarios, we can imagine things that we haven't done and it helps us think about those things. Placing myself in a "there is nothing" scenario was a scary feeling, like falling or something. Some people are afraid of heights and avoid being placed in a scenario that causes them to be afraid. I think it's possible that god is something people use to avoid the thing that makes them afraid. Asking why is there anything at all reminds people of their mortality. With no god to catch you after you die then there might as well be nothing at all. If you can come to terms with your death possibly being the end of your consciousness then the question of why is there anything doesn't require the safety net of a god. How can there be anything at all? And where is it? Why Do Things Exist and Why is There Something Rather than Nothing? In this paper, I propose solutions to the questions "Why do things exist?" and "Why is there something rather than nothing?" In regard to the first question, "Why do things exist? ", it is argued that a thing exists ifthe contents of, or what is meant by, that thing are completely defined. A complete definition is equivalent to an edge or boundary defining what is contained within and giving “substance” and existence to the thing. In regard to the second question, "Why is there something rather than nothing? ", "nothing", or non-existence, is first defined to mean: no energy, matter, volume, space, time, thoughts, concepts, mathematical truths, etc. ; and no minds to think about this lack-of-all. It is then shown that this non-existence itself, not our mind's conception of non-existence, is the complete description, or definition, of what is present. That is, no energy, no matter, no volume, no space, no time, no thoughts, etc., in and of itself, describes, defines, or tells you, exactly what is present. Therefore, as a complete definition of what is present, "nothing", or non-existence, is actually an existent state. So, what has traditionally been thought of as "nothing", or non-existence, is, when seen from a different perspective, an existent state or "something". Said yet another way, non-existence can appear as either "nothing" or "something" depending on the perspective of the observer. Another argument is also presented that reaches this same conclusion. Finally, this reasoning is used to form a primitive model of the universe via what I refer to as "philosophical engineering". Additional note: I think that one mistake that many philosophers make in this area is to confuse the mind's conception of non-existence with non-existence itself, in which neither the mind nor anything else is present. Because our minds exist, our mind's conception of non-existence is dependent on existence; that is, we must define non-existence as the lack of existence. But, non-existence itself, and not our mind's conception of non-existence, does not have this requirement; it is independent of our mind, and of existence, and of being defined as the lack of existence. Non-existence itself is on its own, and on its own, completely describes the entirety of what is there and is thus an existent state. That is, our past use of the term "non-existence" is really a misnomer since what we've always thought of as non-existence is really an existent state. In a nutshell, there is *everything* which, in an informational sense, is the same thing.